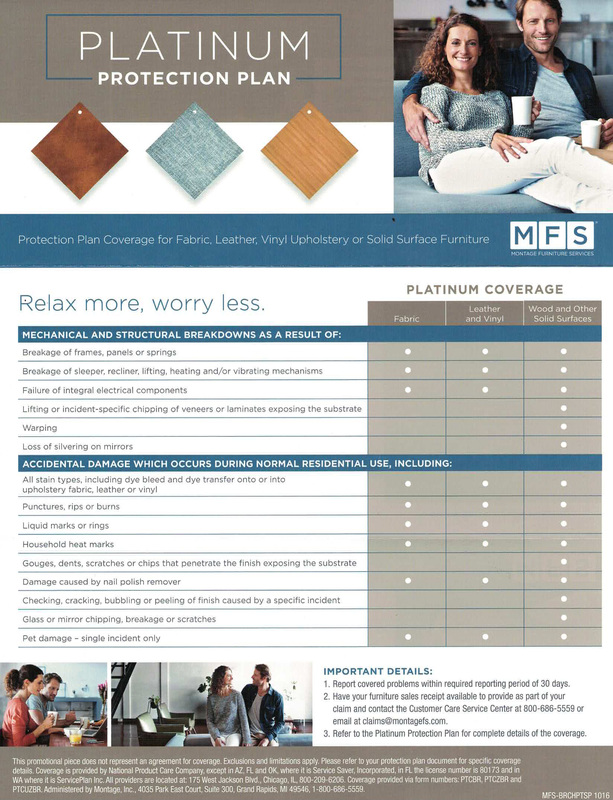 We offer our Furniture Accidental Damage Protection Plan to protect your new purchase. The price of the plan depends on the subtotal of the entire purchase. Pricing listed below.